This morning I dropped my car off for a little attention at the shop and when I walked back to pick it up this afternoon the Buckman Farmers' Market was being set up. Unfortunately I didn't have the means to carry any purchases and a long walk ahead of me but I did wander through and take some pictures. 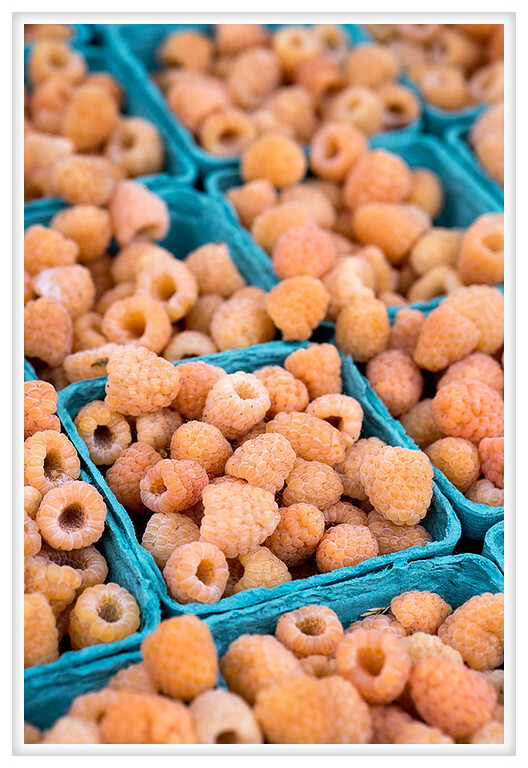 These golden raspberries caught my eye; I liked the color and the contrast and the perceived abundance that goes hand-in-hand with berry season.